Israel must return in the end times. Many Bible passages imply that Israel will become a country again in the end times. Ezekiel 38-39 talks about a time where all the Jews will be gathered back to their land, living safely prior to a surprise attack. God supernaturally saves Israel from this surprise attack, making a name for himself in the nations. Furthermore, Zechariah 14, talks about how half of the inhabitants of Jerusalem will be exiled and raped, while the other half won't be. God responds by attacking the nations that attack Jerusalem and becoming king of the whole earth. 1948 - Israel became a country again, just like the Bible predicted. 1967 - Israel takes control of East Jerusalem, just like the Bible implies it will. The Roman Empire must return in the end times. In Daniel 7, the Bible predicts that 4 empires will rise up, one after another, starting with the Babylonian Empire. 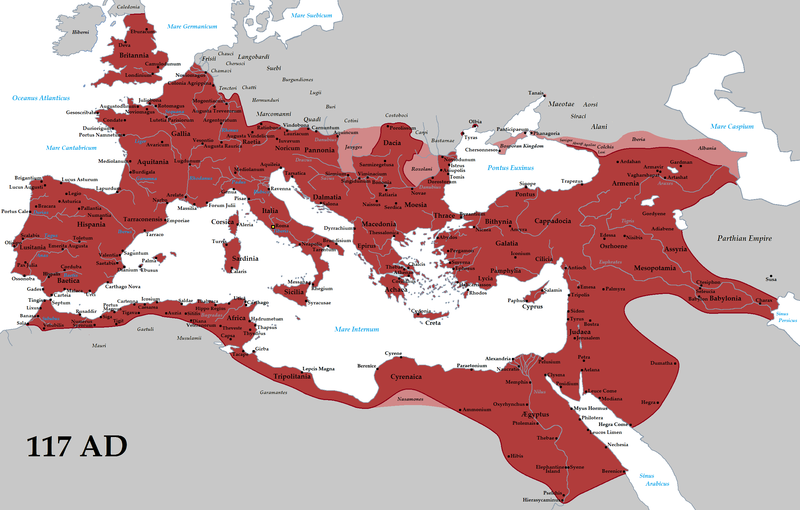 Scholars are in agreement that the fourth empire is the Roman Empire. However, the fourth kingdom is defeated when the Messiah sets up an eternal kingdom, where all rulers obey him. But this poses a problem. If the Roman Empire is defeated by God at the second coming, then where is the Roman Empire? Answer: The Roman Empire has to come back to life before Jesus comes back to defeat it. (For a more detailed discussion of what the Bible teaches on this subject, click here). The Roman Empire has returned! As the Bible says, Israel will return in the end times. Israel has returned. So it makes sense we should see the Roman Empire starting to return as well. The ability to form laws for member states on issues relating to internal market, agriculture and fisheries, social policy, energy, environment and other issues. A legislative body that proposes and makes laws independent of its member states (The Commission). The ability to make its own embassies. The ability to deploy troops for brief missions. Exists in the correct time period in history. (Same time as end time Israel). Is in the European mainland. The Revived Roman Empire and its ten kings exist prior to the rise of the Antichrist Once the Antichrist finally comes, he attacks many areas that were historically a part of the Roman Empire, such as Egypt, areas north of Israel, Libya, and others. He is never mentioned as attacking Europe. (Daniel 11:40-45) Therefore, mainland Europe is the best candidate for the beginnings of this new Roman Empire. But where are the ten kings? Ten Nation Confederacy must come from End Times Roman Empire! The Bible also says that a group of ten kings will arise from this end times Roman Empire. The text of the book of Daniel implies that they will be in Europe. This has led a large number of theologians and prophecy experts to anticipate the rise of a ten nation confederacy in Europe prior to the rise of Antichrist. Ten nation confederacy has come from the end times Roman Empire! Ten kings have a common purpose and give their power to the beast. The Bible refers to the end times Roman Empire as a "beast" with ten horns. (Daniel 7) This beast is also present in the book of Revelation. From the context of the passages, "beast" can refer to both the end times government and/or the Antichrist himself. The book of Revelation says that the ten kings have a "common purpose" and give up their power and authority to the beast. Revelation seems to imply they have a common purpose on military matters, since the ten have a common purpose by which they destroy the city symbolically named "Babylon." The Antichrist will make a 7-year agreement with Israel. The Bible predicts that a future ruler will make a political agreement with many people for seven years. Furthermore, the context of the passage indicates this pact will be made with Israel. For this reason, theologians, prophecy scholars, and even end time movies have anticipated the Antichrist's famed seven year deal with Israel. Halfway through this seven year deal, the Antichrist idolizes himself in the temple. The Antichrist may have made a 7-year agreement with Israel. While the Bible predicts only one seven year covenant, this does not preclude others from happening spontaneously. All we know is this. The evidence that the EU is the Revived Roman Empire is staggering. Even more so, the EU now habitually makes 7 year deals with Israel and its neighbors! One of these deals will be launched by the Antichrist...... It could even be as early as 2014-2020. This common purpose didn't come out of nowhere. 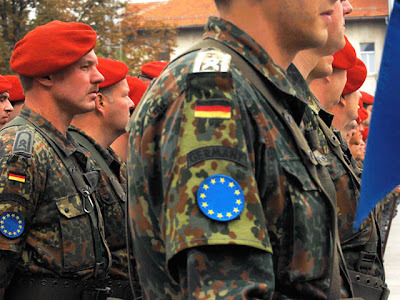 After the Western European Union obtained ten members, it created a secretary general position. It was a "double hatted" position, in that the secretary general of the 10 nations also was the EU's foreign minister. Over the course of 10 years, this foreign minister, Javier Solana, began building the power of this High Representative position. This position used to hold little power other than getting member nations to agree on foreign policy. But today, the new Lisbon treaty created the successor position which holds much more power over foreign affairs than it did ten years ago. Whether it be Javier Solana (recently retired), someone in the successor office, or someone else, the position of High Representative is of great interest for those who are looking for the office of the Antichrist. With all of these interesting things happening already in the EU, with hardly anyone noticing, it is especially important that we remain watchful, just as Christ commanded us. For more info on the theological teachings discussed on this page, click right here.